At SMX Advanced earlier this month, Gary Illyes from Google spoke about how Google uses – and does not use – clicks. 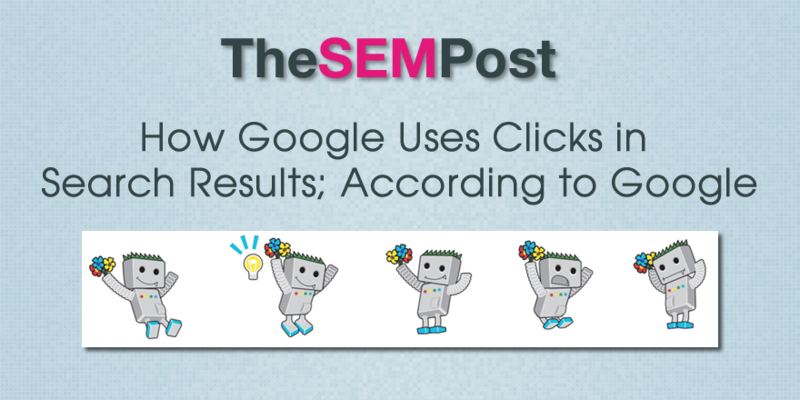 Google uses clicks made in the search results in two different ways – for evaluation and for experimentation – but not for ranking. He does say they see those who are trying to induce noise into the clicks and for this reason they know using those types of clicks for ranking would not be good. In other words, CTR would be too easily manipulated for it to be used for ranking purposes. It is well known that you can buy people and bots who will specifically click on links in the search results in a way that makes it appear your site is the better one and your competitor’s site is not. It is pretty easy to find those that do this kind of thing. However, there have been mixed reports on just how well this works in practice, and it is hard to know what else is coming into play when attempting to compare, especially with Google’s hundreds of algorithmic changes each year. He says personalization plays a role and a lot of times that level of personalization makes a lot of sense and is good for user experience. Illyes example is the classic Apple case. The first time you search for apple, Google might offer a disambiguation box to determine whether the person is searching for the company or the food. Google looks at the fact you clicked on Apple the company. Once this click happens, Google becomes more confident every time you search that you always mean the company. He says the same time would apply to similar types of searches, such as python – animal or programming. When asked about the random clicks to try and influence the results, Illyes says it is fine if you want to randomly click on stuff, but you are only messing up your own results. Danny Sullivan also commented about using incognito when he was searching for his own articles, so he was not making it appear those articles at bounces, to which Illyes replied that it doesn’t matter. CTR data affecting rankings is one of those things where SEOs debate back and forth on the whole “does it or doesn’t it” make a difference, but it is difficult to measure. So while this is what Google officially says, I know it will be open for debate and testing.